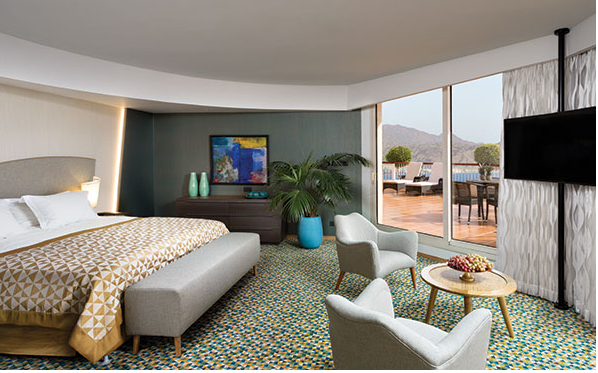 The Dan Eilat Red Sea Hotel was recently voted one of the top ten hotels in the Mediterranean and Africa by the prestigious publication Condé Nast Traveler. The Dan Eilat Hotel is a self-contained vacation paradise, blending luxury and style with fun, informality, and round-the-clock activities. 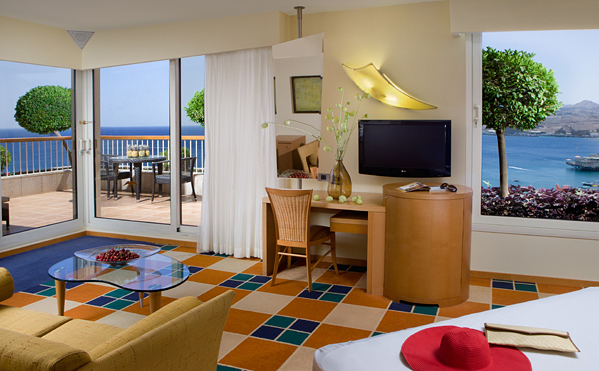 Located in a spectacular beachfront setting on the magical Red Sea, the Dan Eilat Hotel offers guests everything they can imagine and more. Ready to welcome you are dramatic public areas with special light effects, superb guestrooms and suites offering Red Sea-view balconies and state-of-the-art amenities. Guests staying in executive rooms, terrace rooms or suites benefit from complimentary access to the Executive Lounge, offering snacks and drinks throughout the day. The Dan Eilat Hotel is additionally famed for its fine cuisine and international restaurants noted for their exciting variety and gourmet menus drawn from every corner of the globe. Whether it’s a lavish Israeli-style breakfast, a casual lunch, or five-star banquet, expect dazzling presentations that make every meal a gastronomic masterpiece, in atmospheric settings either indoor or out. 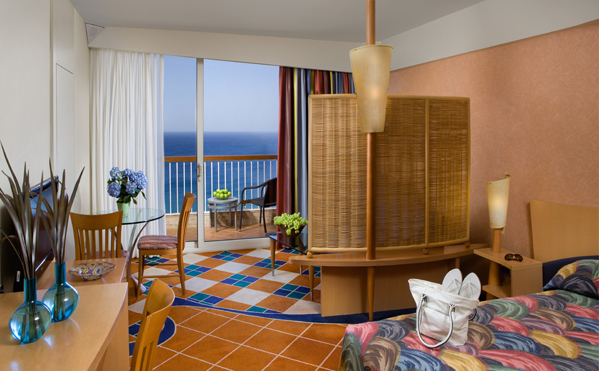 The Dan Eilat Hotel is located in the center of town, minutes away from the beachfront and the lagoon. Across from the hotel is the large Mul Hayam mall and an abundance of restaurants and bars. Only a few kilometers away is Eilat’s famous Underwater Observatory – a marine safari filled with colorful fish and creatures from the Red Sea. Also in close proximity is the Dolphin Beach, a magical place where humans and dolphins can swim and interact. New Deluxe SuiteWell-designed, Recently renovated suite, with a specious layout, and a large private terrace Facing pool & sea. The Deluxe suite include a Jacuzzi on the terrace and an additional Jacuzzi in the bathroom. More details: 88 Sq. m + 90 Sq. m terrace/ Max 2 persons, 11th Floor Free access to Executive Lounge (from age 18). 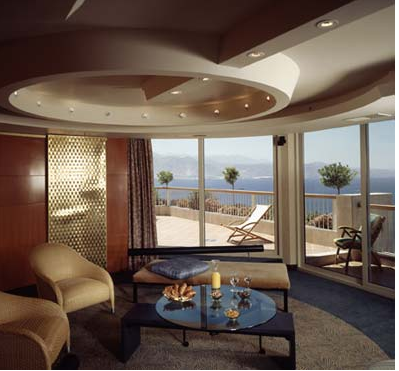 Presidential SuiteSpectacular and very spacious living room area, overlooking the magnificent views of the pool & sea. Exquisite bedroom, bathroom includes a Jacuzzi. Large private terrace with additional Jacuzzi. More details: 180 Sq. m + 88 Sq. m terrace / Max 3 persons, 14th Floor. Free access to the King David Lounge (from age 18). Free-of-charge in room bar. New Club RoomVery spacious rooms, Modern design, Recently renovated rooms overlooking the pool & sea with Big Private balcony. More details: 121 Sq. m / Max 2 persons, Floors 12-13. Free access to the King David Lounge (from age 18).